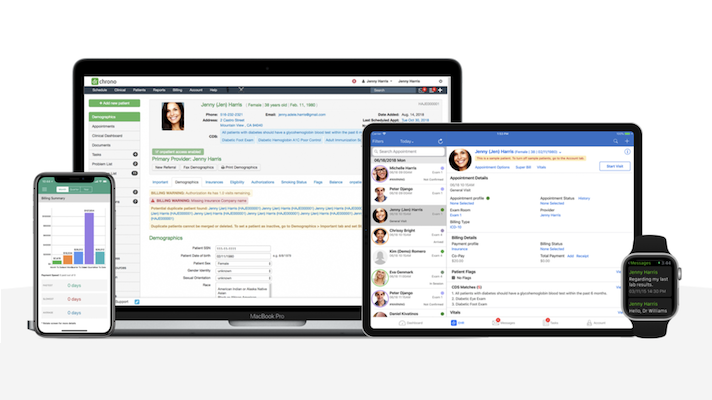 DrChrono has announced that its EHR, which runs on the iPad, iPhone, and Apple Watch, has attained ONC certification for Meaningful Use Stage 3. The company believes it is the first to obtain that certification for a mobile-based product. The Meaningful Use program has been officially renamed “Promoting Interoperability”. Its focus has shifted to encouraging EHRs to share data easily between each other, including using a file format called C-CDA. As such, DrChrono’s EHR is able to share data with other MU3-certified EHRs, which includes most of the major players in the space. They also have an API that will allow data to potentially be shared even more easily. For instance, DrChrono’s EHR will allow doctors to change and update prescriptions without having to call pharmacists on the phone. While the term “Meaningful Use” isn’t being heard much any more, data interoperability is still a hot topic. Some startups and big tech companies, such as Apple and Ciitizen, believe that a patient-centered record. Others, such as Medal, help patients extract data from siloes it might be trapped in.